We are pleased to announce that the Shipwreck Society will host its 41st Annual Meeting and Dinner held at the Whitefish Township Community Center in Paradise, Michigan. The Whitefish Township Community Center is located at, 7052 M-123, Paradise, Michigan, 49768. This event is for GLSHS Members in good standing, but if you would like to become a member, or renew your membership, please call 800-635-1742, or click Become A Member Also, if you would like more information, call our administrative offices at, 800-635-1742. Please consider joining us for this enjoyable program and dinner! The program will focus on the 2016 “Big Five Dive” and corresponding documentary. 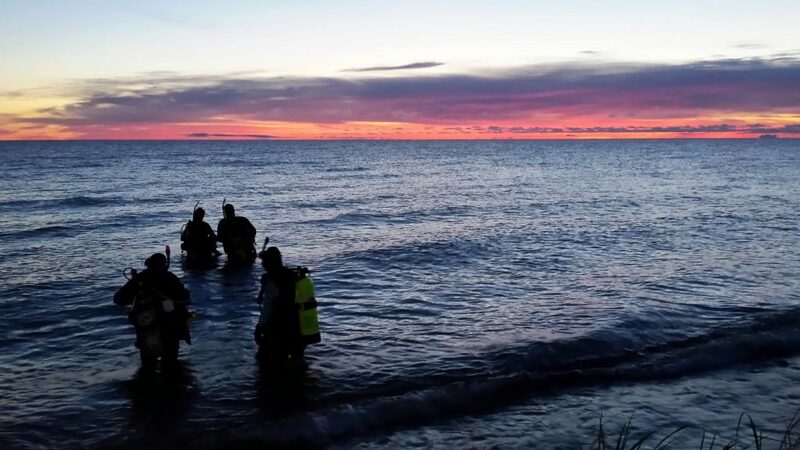 The Big Five Dive is an adventure documentary about a group of women attempting to dive one historic site, in all five Great Lakes in under 24 hours, in an effort to raise awareness of women in SCUBA diving, a historically male dominated sport and career. 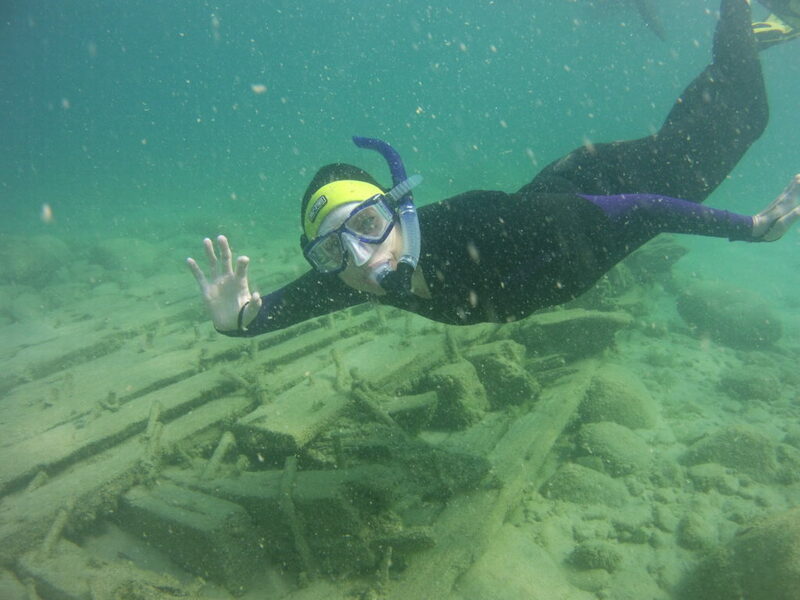 Set against the backdrop of some of the Great Lakes estimated 6,000 shipwrecks, this group of women show that there is a place for everyone underwater. 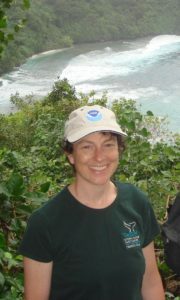 A Past-GLSHS President and veteran technical scuba diver of the Shipwreck Society, Terry has also served as Vice-President and a GLSHS Board member; been a member of the Underwater Research, Nominating, Annual Appeal, and Human Use Plan Committees; and is a retired Environmental Engineer/Educator. He was a participant in the 1995 expedition to recover the bell of the Edmund Fitzgerald. He and his family have been active supporters of the Shipwreck Society for over 30 years. They enjoy a summer home on Whitefish Bay just south of the Shipwreck Museum. Co-owner of E.J. Mertaugh Boat Works, and Owner of North Coast Company, both in Hessel, she has been active with the Shipwreck Society for a number of years. She has been heavily involved with the Les Cheneaux Island Tourist Association and the Annual Antique Wooden Boat Show. She and her husband Brad, with the staff at Mertaugh, are currently restoring the Society’s 36-foot USCG Motor Lifeboat 36381 for display at Whitefish Point. One of the most noted Great Lakes Maritime Historians of our time, Pat Labadie has served as Staff Historian for the Thunder Bay National Marine Sanctuary in Alpena; and as the Executive Director of the Canal Park Maritime Museum in Duluth, Minnesota. He served as Principal Investigator and Site Projection Artist for the Shipwreck Society’s 2008 project Ghosts of the Shipwreck Coast as funded by the Michigan Department of Transportation. Pat is also very well known for his personal contribution of over 60,000 Great Lakes photographs to the Alpena Public Library, which required a special grant to catalogue, scan, and store them for future generations; this collection bears his name. Bill is a professional Imaging Systems Engineer with the Rochester (NY) of Institute of Technology (RIT). He has previously served as a GLSHS Board Member and has helped with technical support of our underwater research as well as our digital imaging and non-traditional imaging systems. Bill has been involved in the development of the Geographic Information System (GIS) and has applied his knowledge to the extraordinary geological history of Whitefish Point. He has been actively participating in the Society’s recent expeditions to locate the French Minesweepers on Lake Superior.